Exhibit A: "You can spend a lot more than that for a new car if you want to." Remark of President Kaler (referring to the $30,000 average student debt in Minnesota among the two-thirds who graduate with student loans) at p. 58 of the August 2015 issue of Minnesota Monthly. This remark fails to recognize that the cost of an undergraduate degree is not limited to the debt incurred. 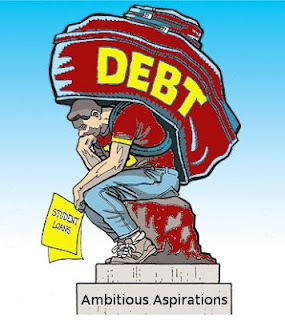 That debt is incurred only after students and their parents have exhausted their savings and student earnings. It also fails to recognize that the debt incurred by students in the graduate and professional schools is far greater than any car those students will ever be able to afford (in the range of $150,000 to $200,000 for many). What this remark does demonstrate is that the senior administrators and the Regents are so far removed from the economic lives of students and their parents and the public at large that they are seemingly oblivious to the financial hardship that results from their decisions to spend other people's money. Exhibit B: "When people complain about tuition, I tell them to talk to legislators." Remark of President Kaler at the March 23, 2012 meeting of the Civic Caucus. Exhibit C: "I promise to reduce administrative costs by $90 million over the next six years." Pledge of President Kaler to the state legislature.